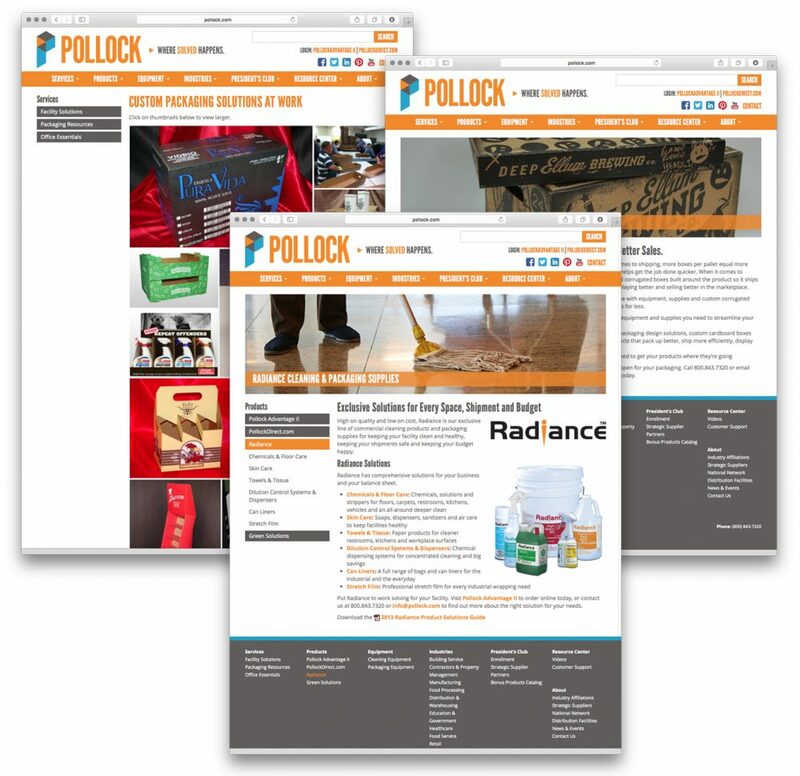 Pollock Paper was experiencing a brand challenge: The industry was facing new, formidable competitors with solid brands and deep pockets. 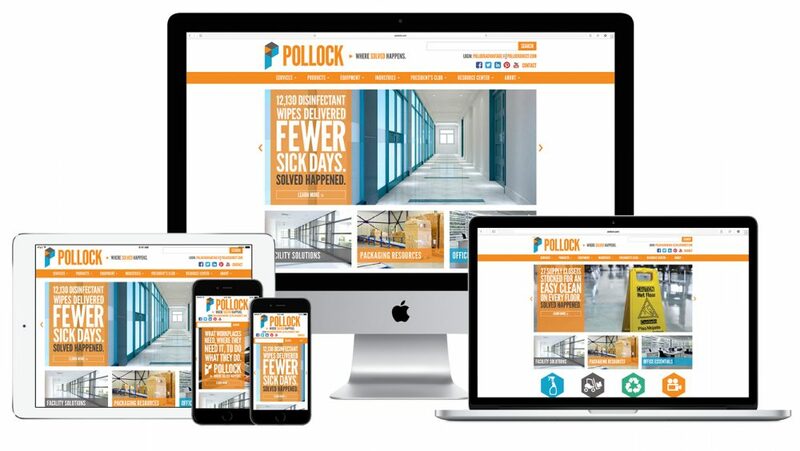 Pollock had strong business and solid relationships, but was struggling to communicate the magnitude of solutions they offered to new companies. 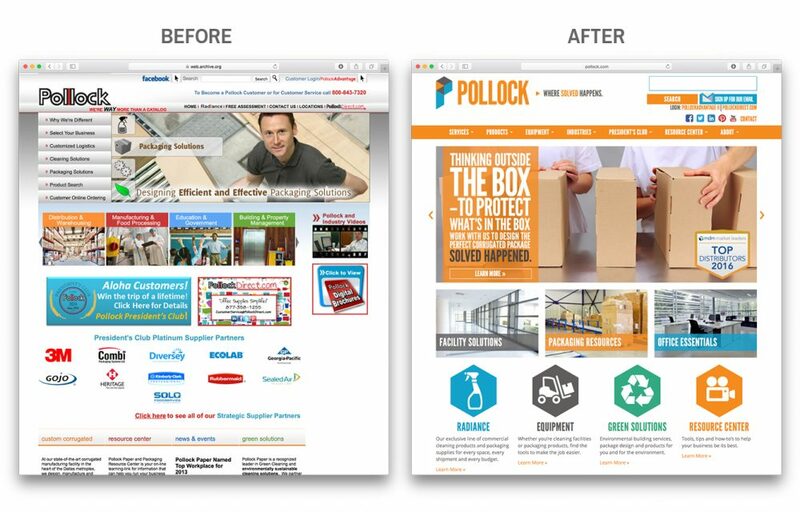 We revitalized the Pollock brand with a vibrant new visual identity, a memorable brand personality, a strong value proposition, and a framework to tell the story about “Where Solved Happens” in unique ways across all media. After building a solid brand platform, we revamped customer touch points including a redesigned responsive website, a series of microsites, a truck wrap campaign, sales presentation tools and digital content campaigns, all to pave the way for the next phase of company growth.